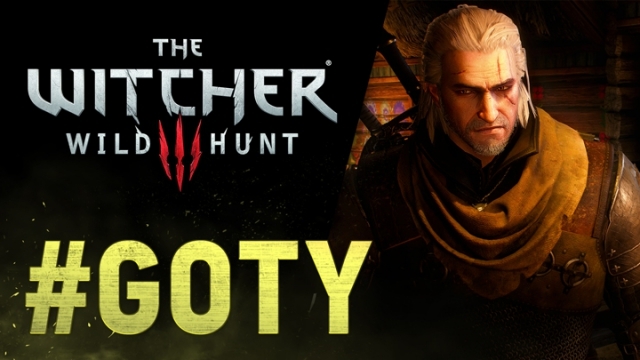 The Witcher 3: Wild Hunt GOTY Edition -- Launch Trailer! The Witcher 3: Wild Hunt GOTY Edition will release on PC, Xbox One and PlayStation 4 on August 30th, 2016. Check out the launch trailer here. Eeh, what about that last crone in the beginning of a trailer? Is this a hint or wink-wink something? Is this a hint or wink-wink something? That is probably the best trailer for the game! Really good stuff. That Crone part looks interesting Maybe we get Ciri's medallion back. The dreams! I hope it's that surprise people talk about.. The witcher 3 has 3 diferent endings you know it, right? kill that Crone when he has the "Geralt dies" ending? I just thought he went there. Right ok, RIP MY DREAMS. Well, next idea, what is the suprise? This is a friendly heads-up to watch out for spoilers, please -- just in case some people are looking to pick up the game for the first time with the GOTY. Thanks. Apologies, although i have no idea how to make that spoiler tab. Fixed my own by wrapping in spoiler tag. Sorry, too exited, you know.. In the reply window where you normally type there is a toolbar that sits above where the text is. One of the items is a red box with a "!" in it. That's the spoiler tag. Just type your spoilers, then highlight it and click the red "!". You can even put spoilers within spoilers! i have no idea how to make that spoiler tab. Place ['SPOILER']['/SPOILER'] in brackets (without the inverted commas) around the text you want to hide. Geralt's not the real protagonist!!! Yeah i'll make sure to do just that. Ok well I think i've got the hang of it now Now your right, back on topic This trailer is insanely good, the two launch trailers are the best. @Rawls beat me to it. Well played, old chap! I'm really envious of those who will experience this for the first time, like falling in love. Hm, i have to say not the best Trailer. The other ones had a much better Atmosphere, and were also in general slightly better. This one leaves me somehow cold. Maybe this is because already did see everything ? The possibility to experience this game again for the first time would be awesome. When will this be released, I saw it on steam in like 30 minutes ago try to purchase with no success, and now game is hidden on steam. Here is 01:43 CEST(CET) +2 GMT time, I hope they unlock it in 15 minutes so I can download it over nighr and play tomorrow.